It’s that time of the year again. 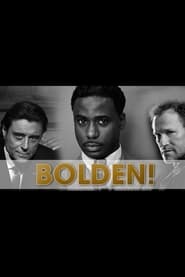 Last May and the one before I wrote about Hyatt Hotels heir Dan Pritzker and long, long stalled jazz movie called “Bolden!” Pritzker started making the movie 7 years ago, has spent well over $100 million. I told you a year ago that Pritzker was planning to re-shoot most of the movie, about obscure jazz musician Buddy Bolden. That’s Dragon Ball Super Broly because actor Anthony Mackie wouldn’t come back to do more work on “Bolden!” even though he was the star of the movie. Now Deadline’s Mike Fleming says that Pritzker has replaced Mackie with someone as obscure as Buddy Bolden: Gary Carr, who played the jazz singer Relive last season on “Downton Abbey.” Ha ha. Good luck. Pritzker is never going to finish this movie. Carr is not able to sustain a three hour film about someone no one’s ever heard of, either. He’s considerably less well known than Anthony Mackie. It’s all sad and hilarious. Of course Pritzker can afford to play Zeroville with this thing like a cat with a toy until Kingdom come. But for the people who worked on “Bolden!” it’s too bad. Everyone involved with this ridiculous pipedream wrote it off a long time ago.